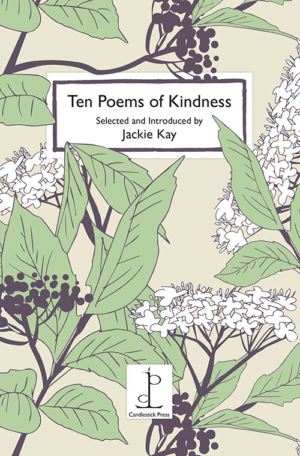 Edited by Jackie Kay and containing two new poems she has written specially for the anthology, this moving selection is allied to a compelling cause. ‘Felix’s Campaign of Kindness’ was instigated by the mother of Felix Alexander, a 17-year-old boy who took his own life after years of online bullying. The pamphlet is dedicated to the memory of Felix and contains the inspirational open letter written by his mother after his death. Jackie Kay is one of the foremost poets writing in Britain today. She has published numerous poetry collections and a memoir, Red Dust Road, about her quest to find her birth parents. She is the third modern Makar, the Scottish Poet Laureate. Poems by Fleur Adcock, Gwendolyn Brooks, Ian Duhig, Sarah Howe, Jackie Kay, Yusef Komunyakaa, Norman MacCaig, Sylvia Plath, Rabindranath Tagore and Kate Tempest.